Many thanks to Darlas Hunter for a most enjoyable evening. 21 members brought along work for the critique, and all received thoughtful feedback, with the overall impression that all of the paintings submitted were of a very high standard. One of the main messages to take away was the importance of finding the right tone in the painting. 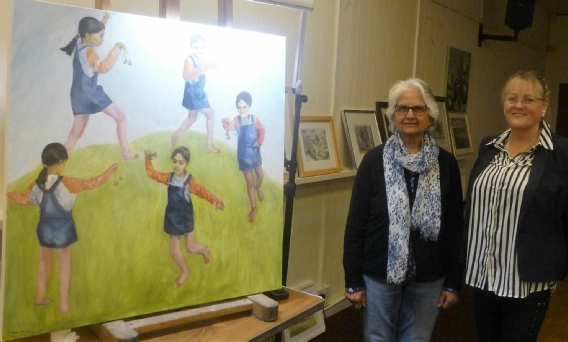 Darlas went on to choose Philip Ross as runner up with his atmospheric cafe scene, with Asha Bassi as the overall winner, with her beautifully captured image of childhood.